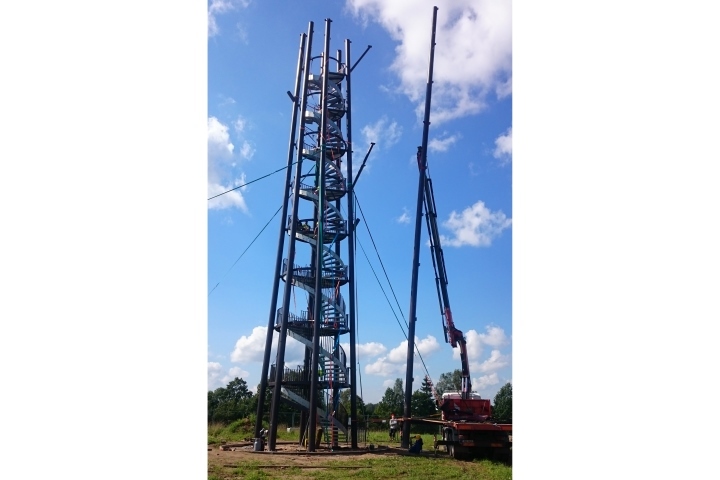 Construction of Ööbikuoru watchtower with two observation platforms. 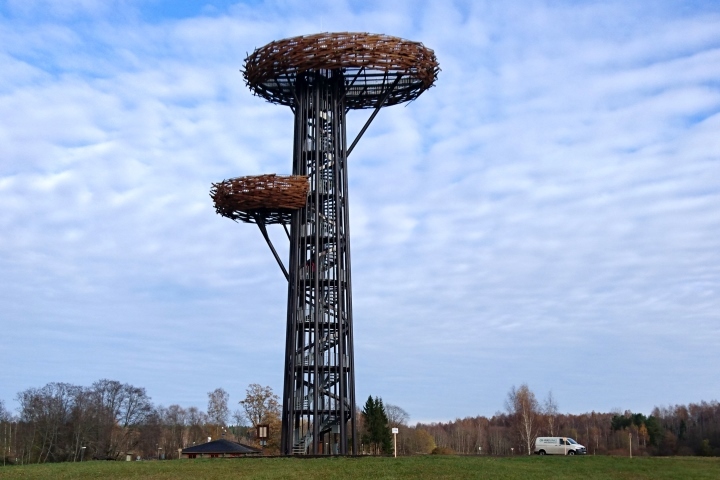 From a distance the tower resembles a tree trunk and observation platforms birdnests . 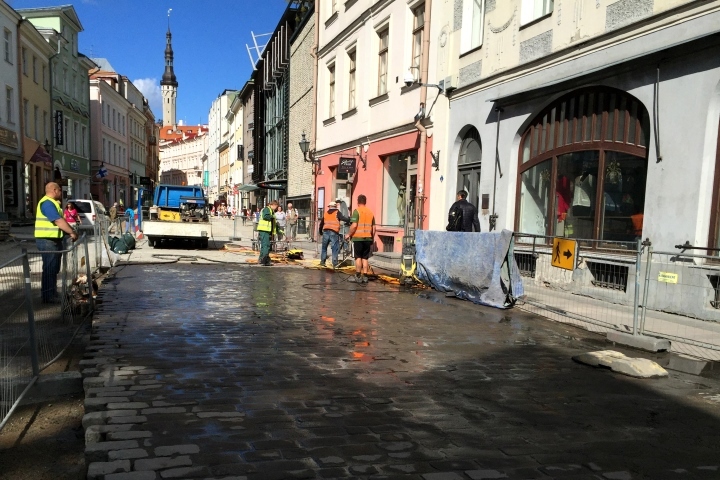 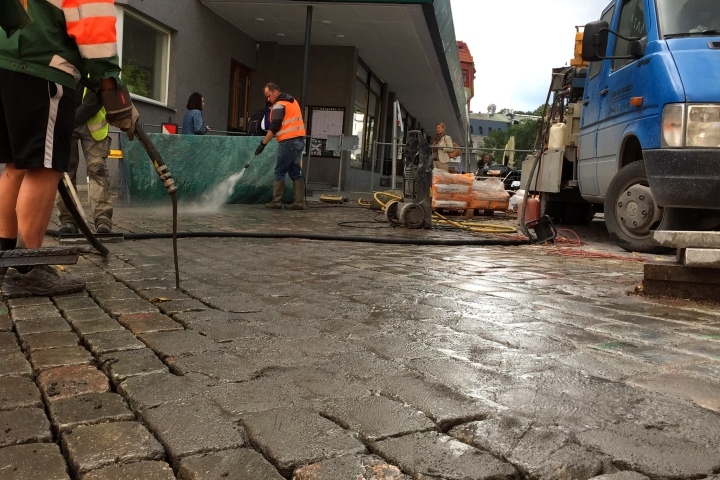 During reconstruction of Viru, Vana turg and Kuninga streets of Tallinn Old Town Flowpoint jointing mortar was used to joint ca 8000 m2 of pavement. 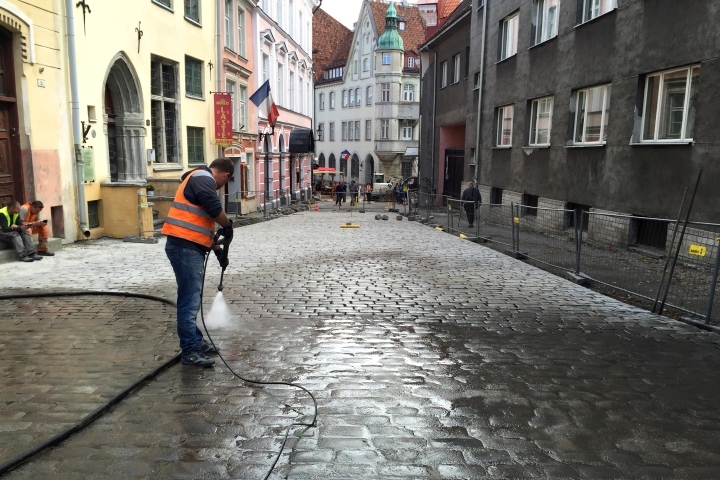 With this reconstruction project these streets were transformed into a pedestrian area consisting of a single street level. 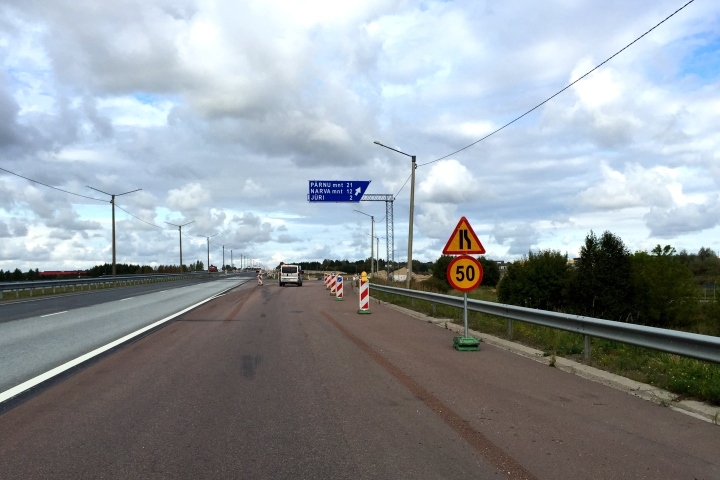 Traffic management during the construction work of Põrguvälja traffic joint and Jüri roundabout (9,7 – 11,6 km). 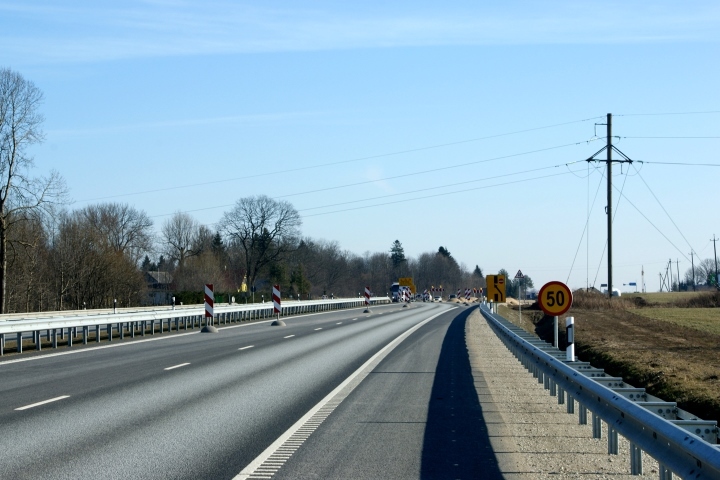 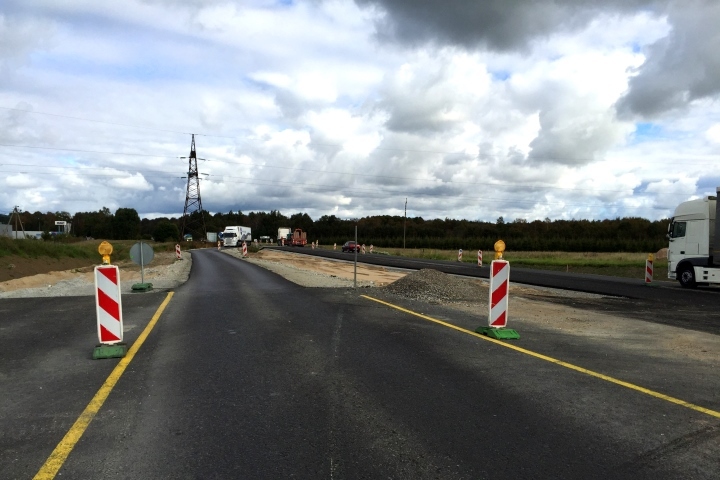 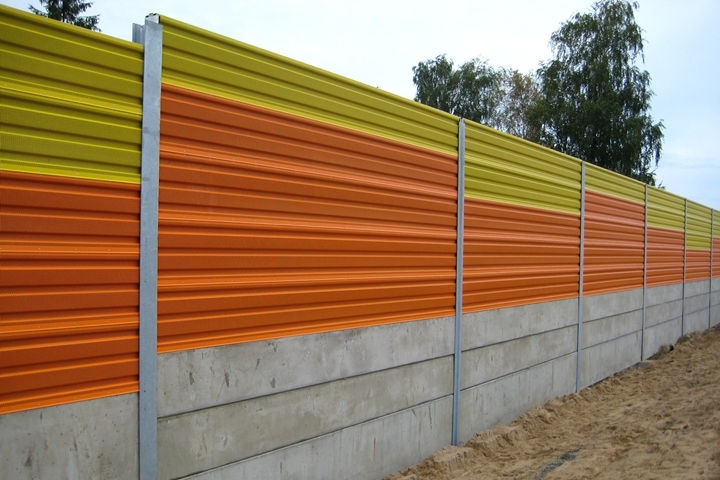 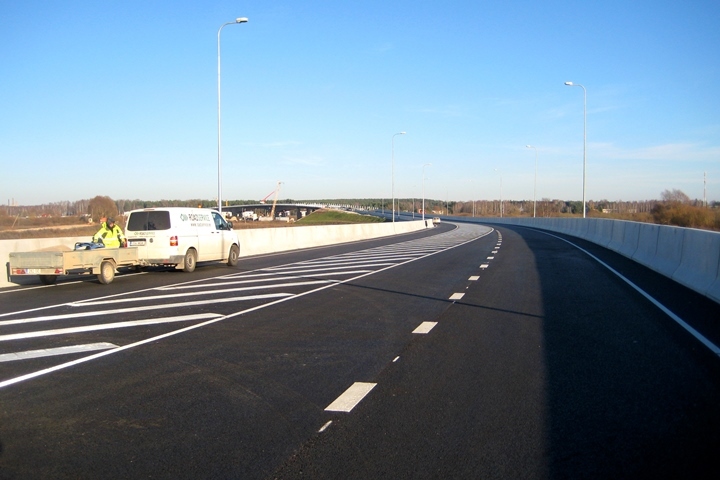 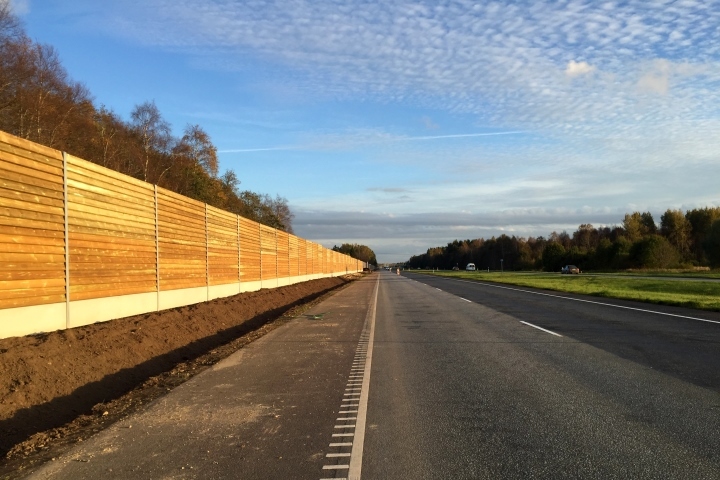 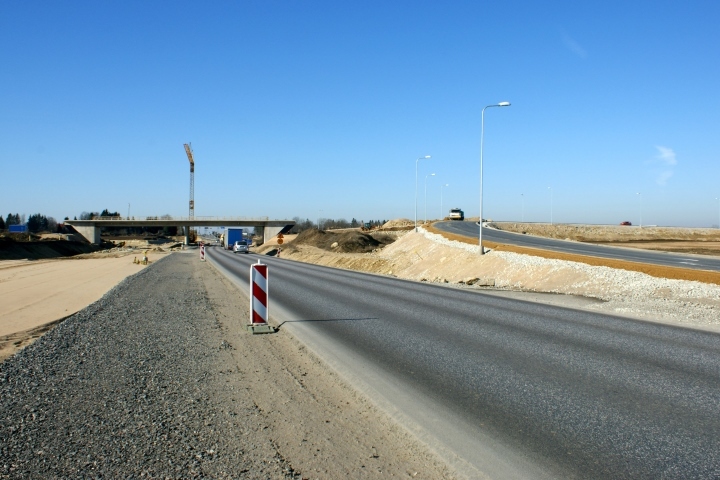 Construction of wooden noise barrier by the side of Tallinn-Tartu road km 15.8 – 16.8. 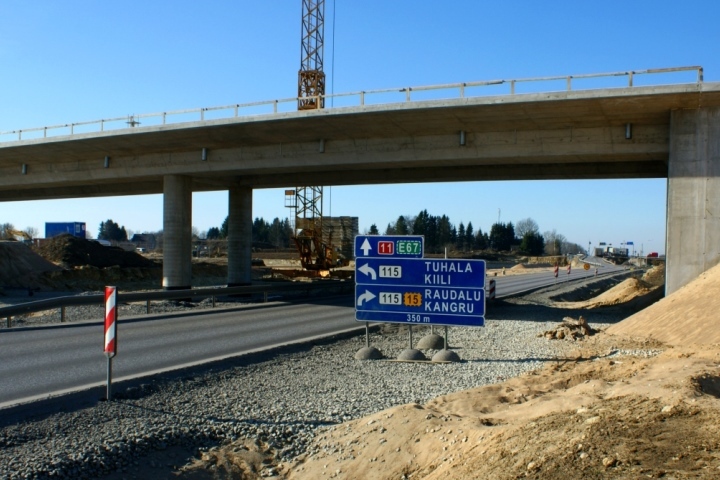 Traffic management during the construction work of Tallinn roundabout Kurna traffic joint and multi-level crossing. 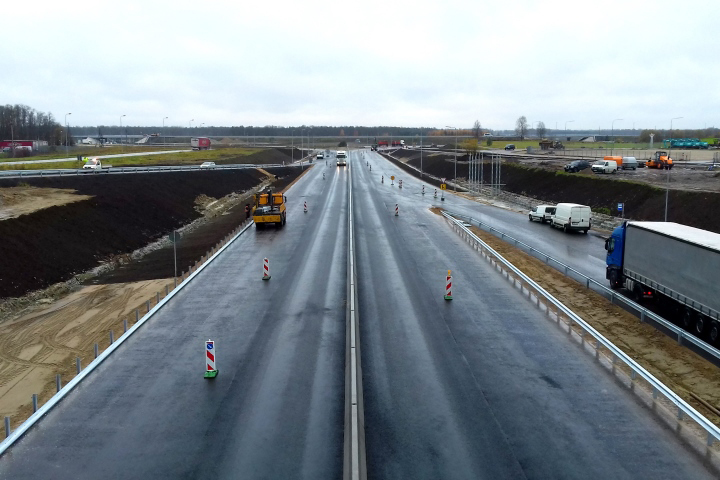 Work was performed from Tallinn-Tartu road Jüri roundabout till Luige hamlet (traffic frequency over 10 000 vehicles per day). 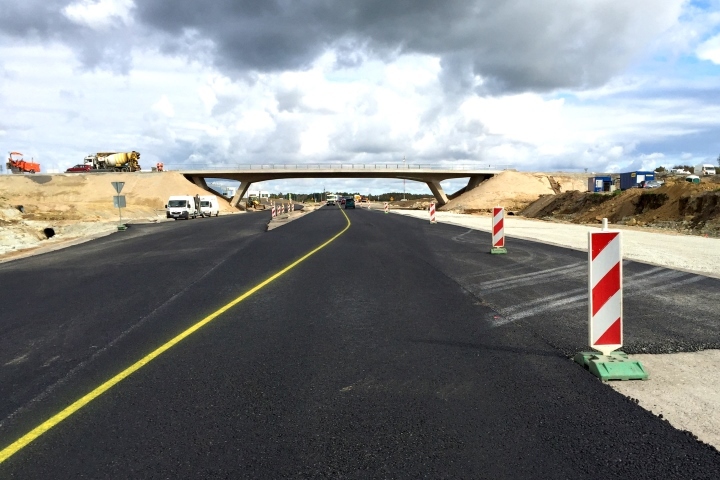 The first part of the site – Kurna-Luige was completed in 2014 and the second part in the end of 2015. 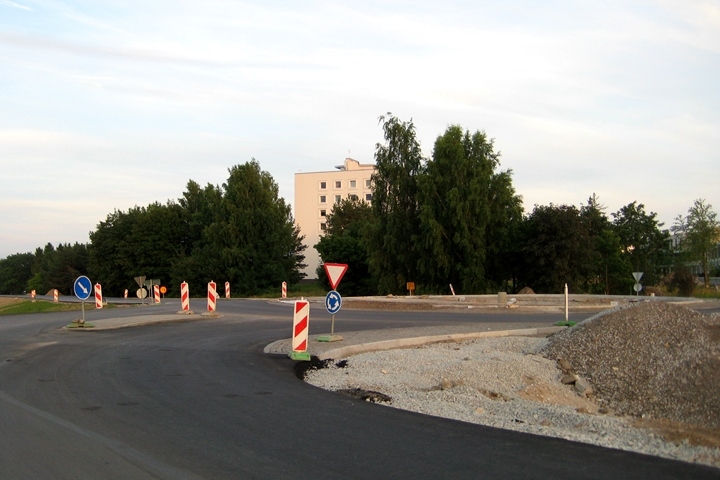 This section of Tallinn roundabout consists now of four lanes and there are no crossings regulated with a traffic light. 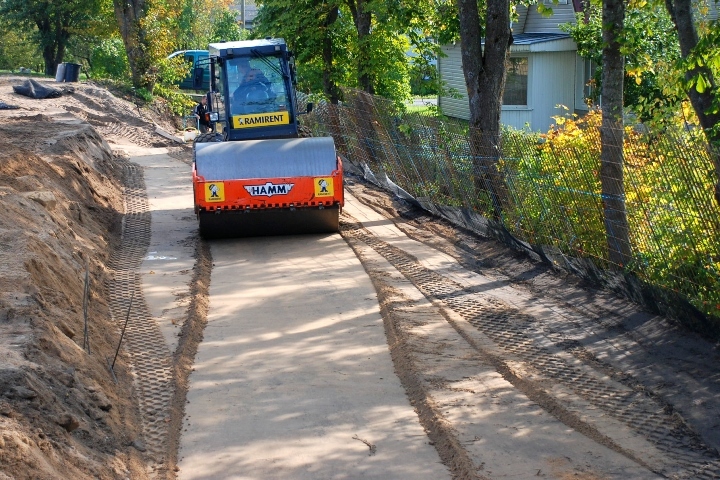 Traffic management during the reconstruction work of Tallinn-Paldiski road Keila- Valkse section (24.7 – 29.5 km ) and construction work of the bridge over the river Keila. 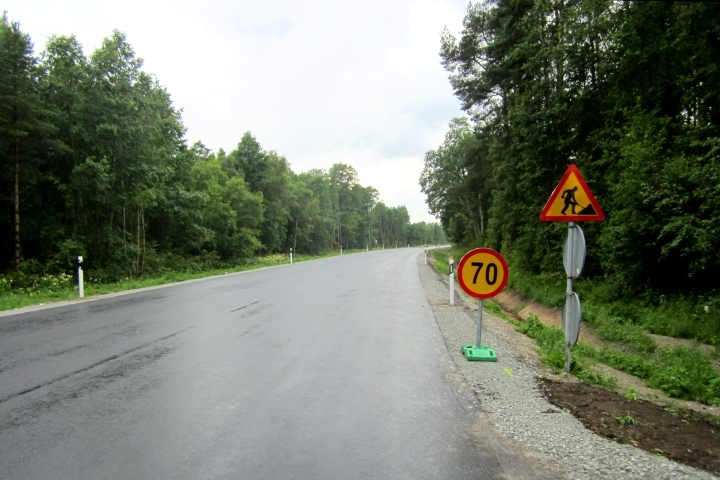 Traffic management during the repair work on Tallinn-Paldiski road Kloogaranna-Paldiski section (37.4-46.8 km) and installation of marker posts (approx. 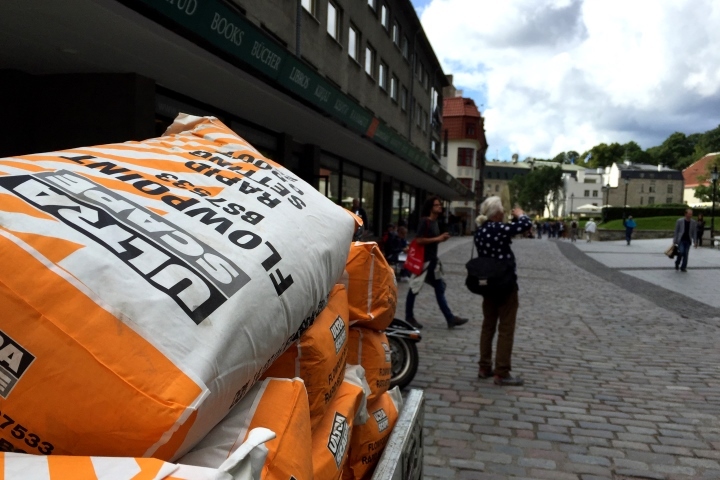 500 pieces). 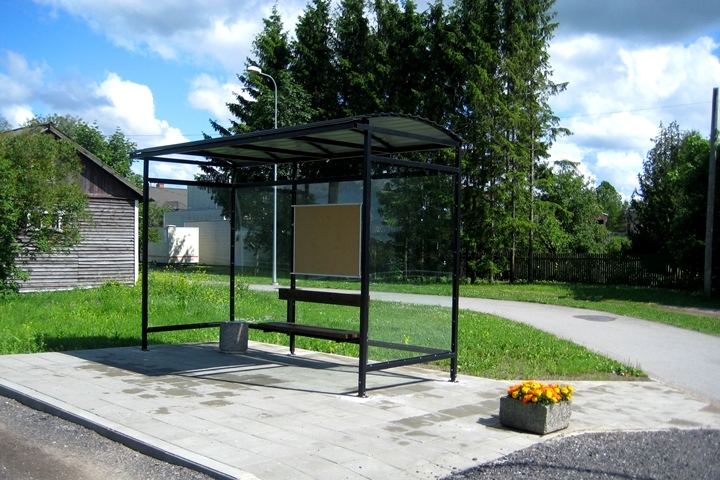 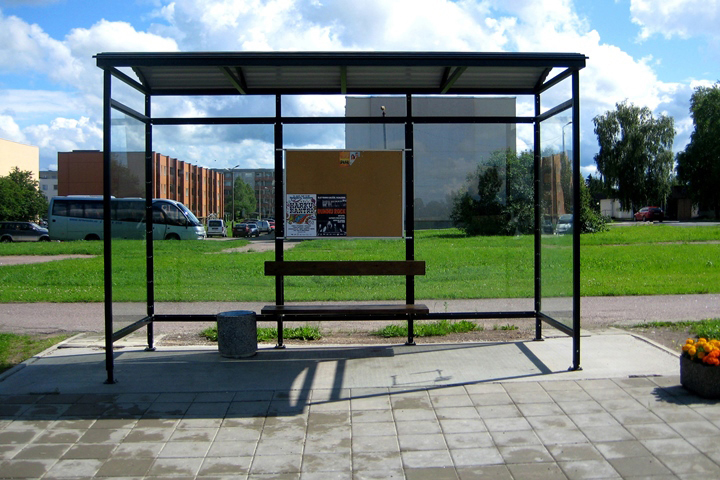 Manufacturing and installation of five bus shelters in Saue, including construction of the base and installation of pavement tiles. 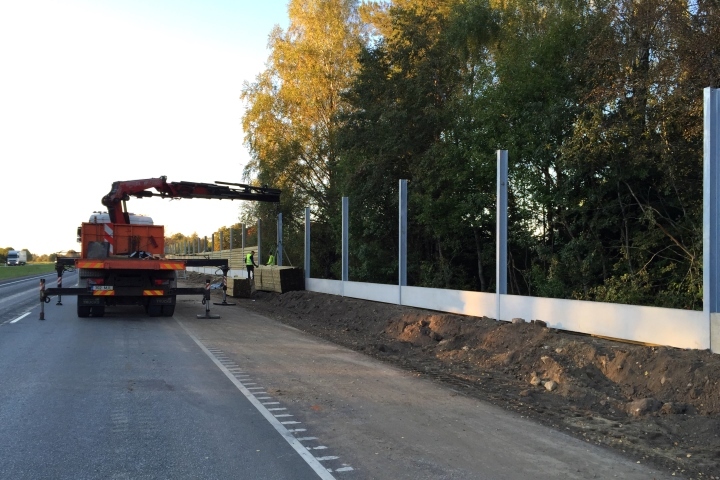 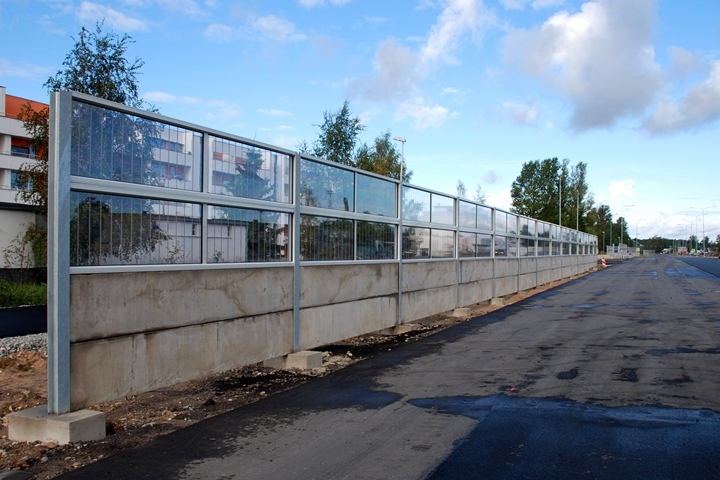 Construction of a noise barrier made from aluminium elements to protect the houses adjacent to the Tallinn-Pärnu road km 123.048 – 123.25. 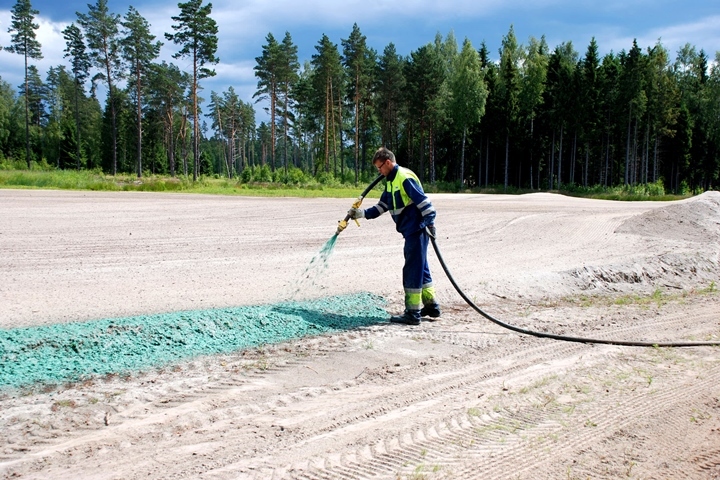 Seeding lawn on Tahkuranna golf course using a hydroseeding method. 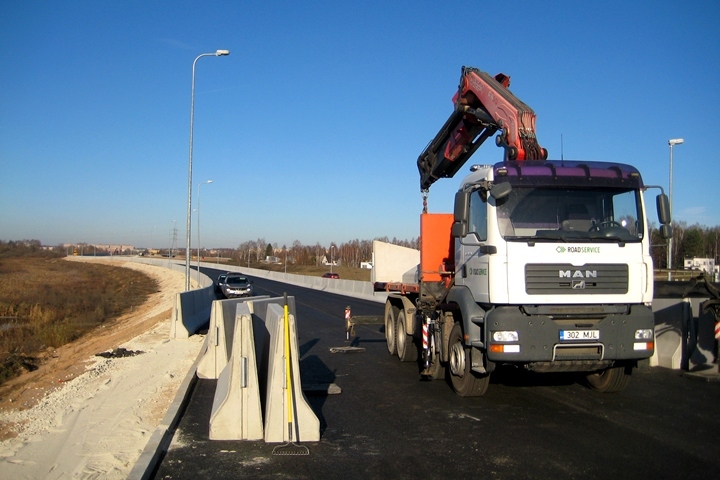 Construction and installation of concrete roadside barriers on the eastern side of Tartu roundabout with the total length of approximately 3 km. 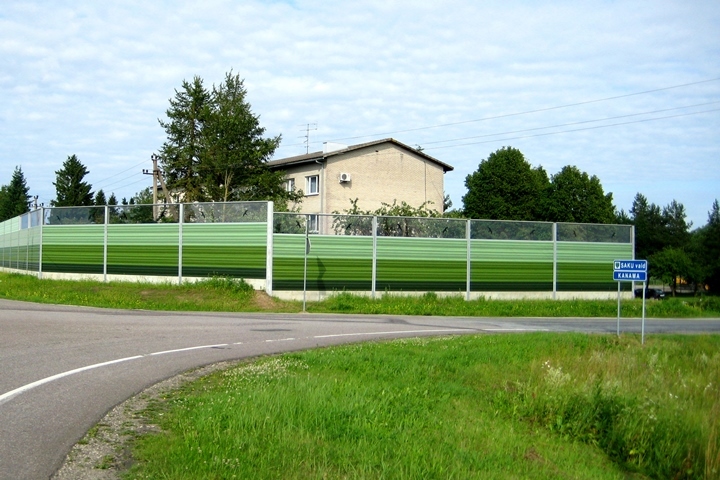 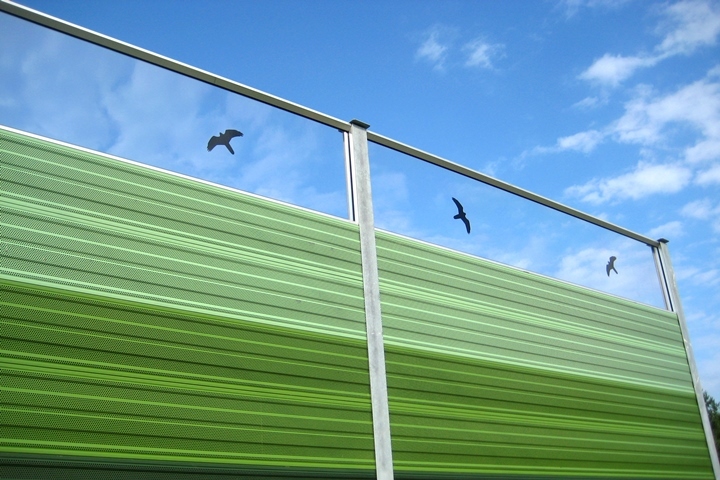 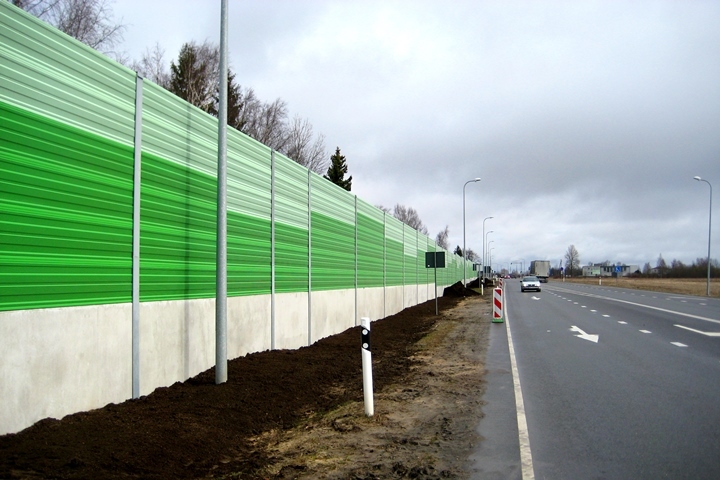 Construction of a noise barrier made from aluminium elements to protect the houses adjacent to the Tallinn-Pärnu road km 18.745 – 18.825. 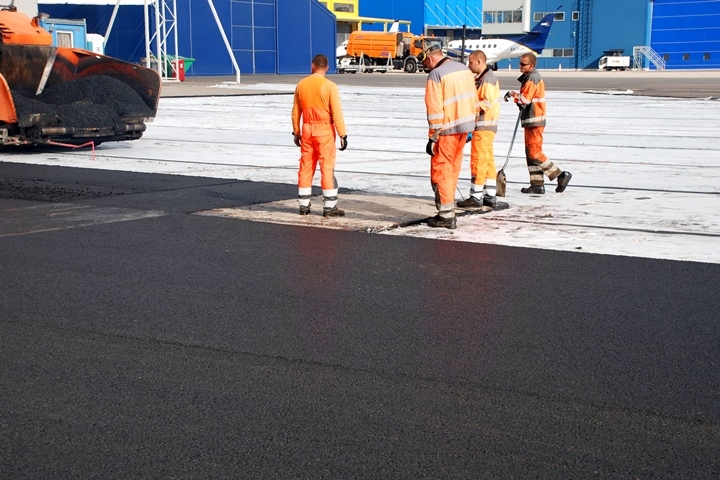 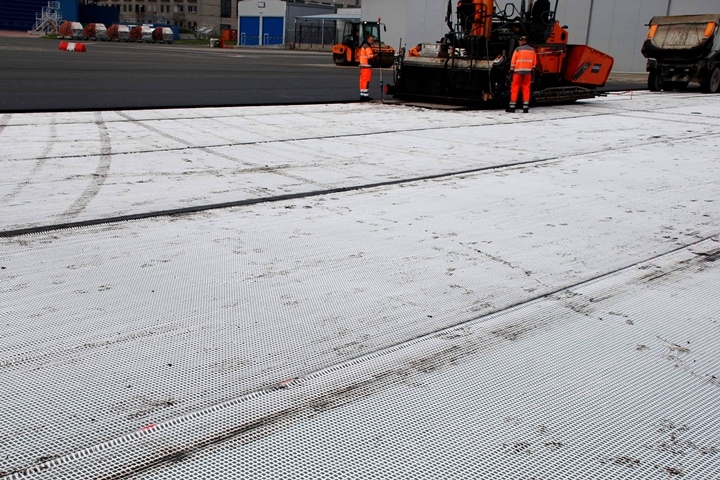 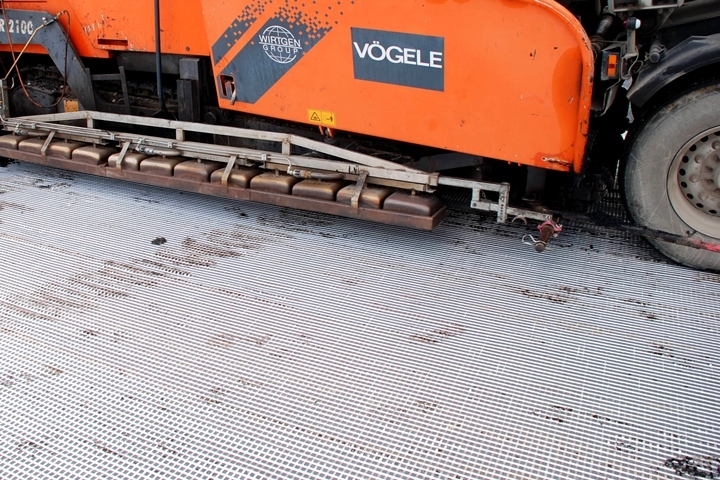 During asphalt overlay work on the parking lot of Tallinn Airport, a Tensar asphalt grid was installed in order to avoid cracking. 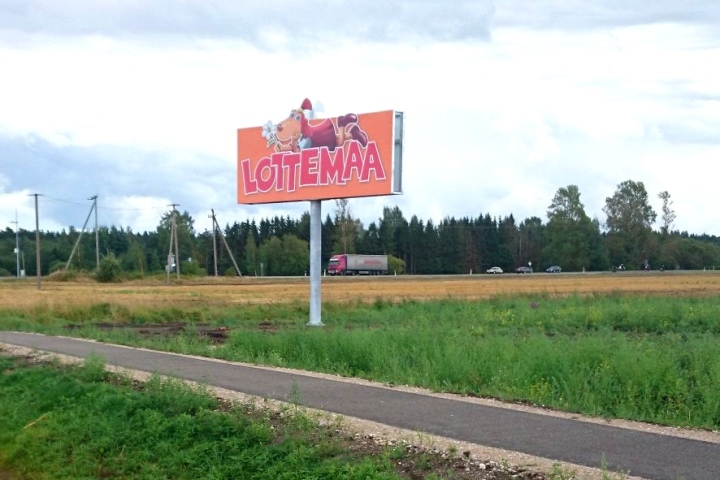 Making a double-sided advertisement board for Gadgetville Adventure Park and installation thereof in Tahkuranna parish Pärnumaa. 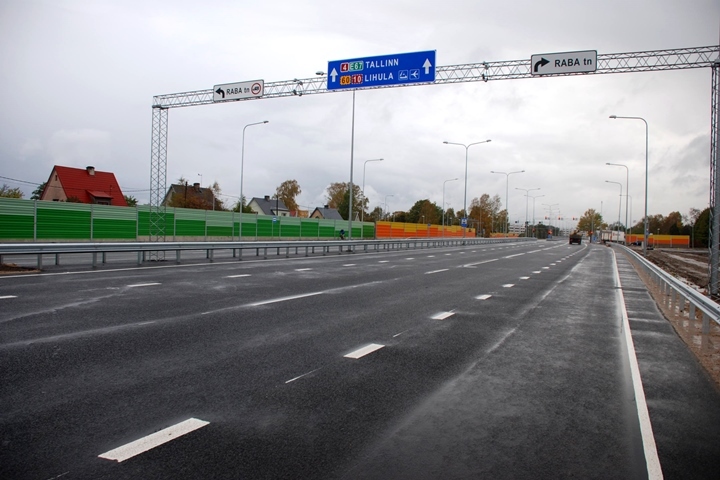 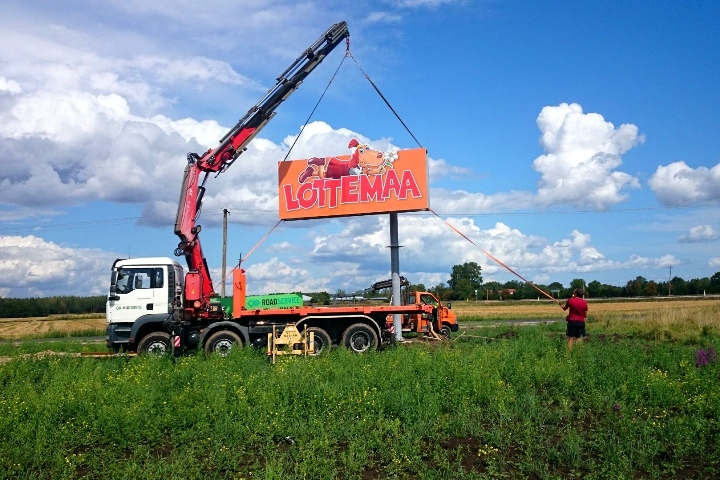 Manufacturing of all direction signs, name signs and loading gauges on the Tallinn-Tartu road Aruvalla-Kose section and installation thereof. 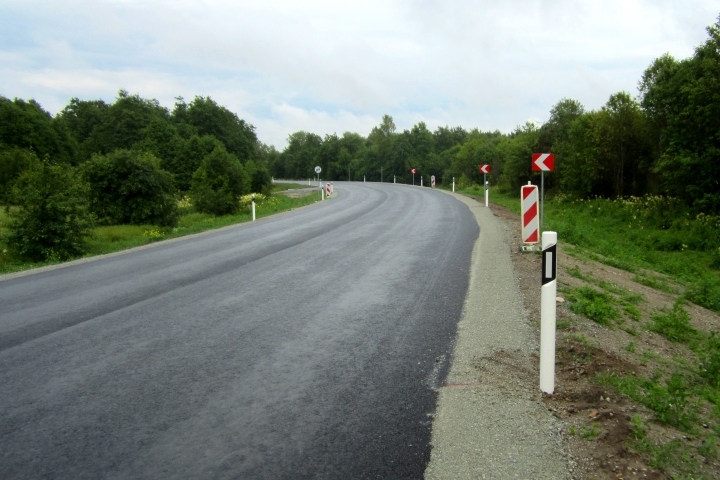 The given road section was re-constructed within the length of 13 km in a road with four lanes. 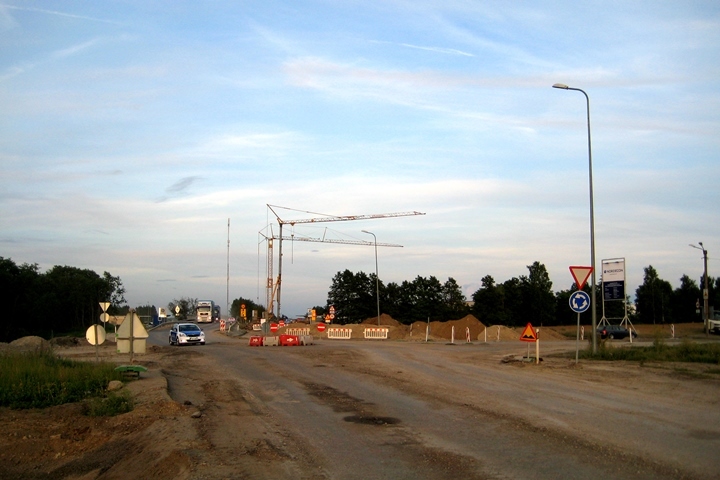 Construction of a noise barrier on Pärnu roundabout (Ehitajate road) to protect the buildings adjacent to the road. 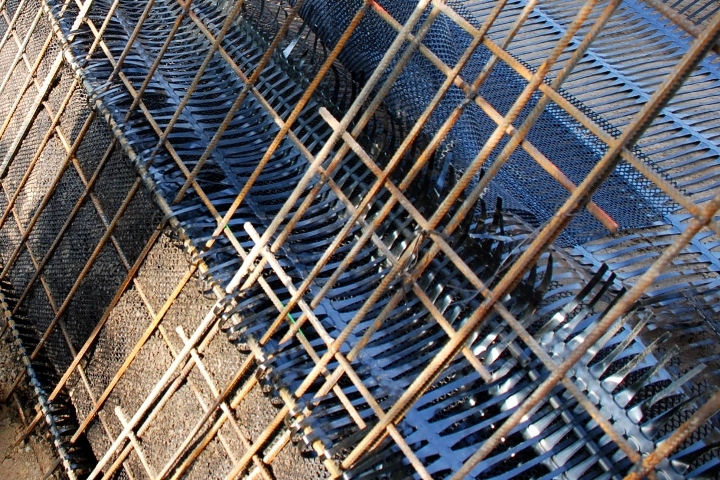 Instead of a concrete retaining wall of Audru bridge a new retaining wall with the approximate length of 50 m was built from soil reinforced with Tensar’s geogrid. 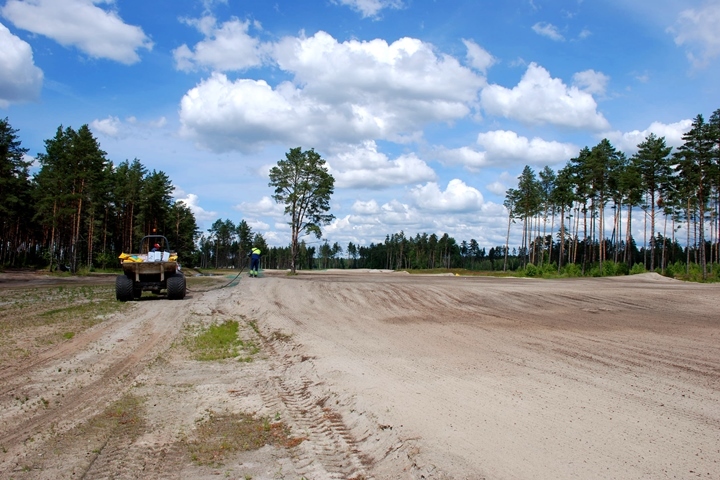 During the extension work of Tartu airport the runway was extended by 420 m. It was known beforehand that the subsoil is weak but during construction work it came out that the situation was even worse. 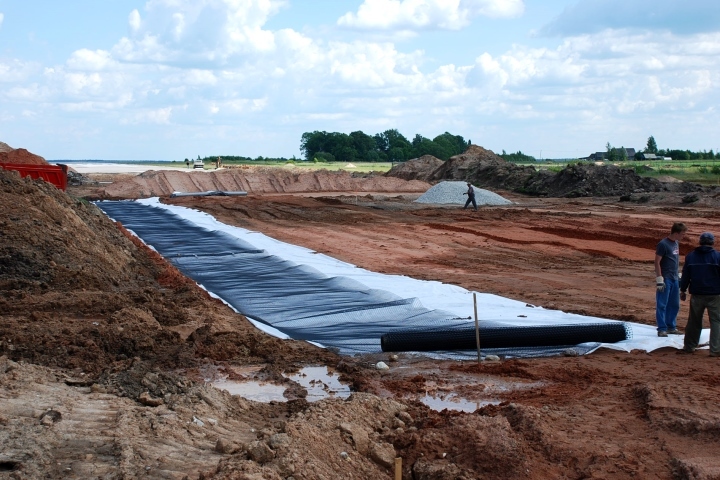 The subsoil of the embankment was taken out and it was discovered that it is too weak and wet in order to build a strong embankment for a runway. 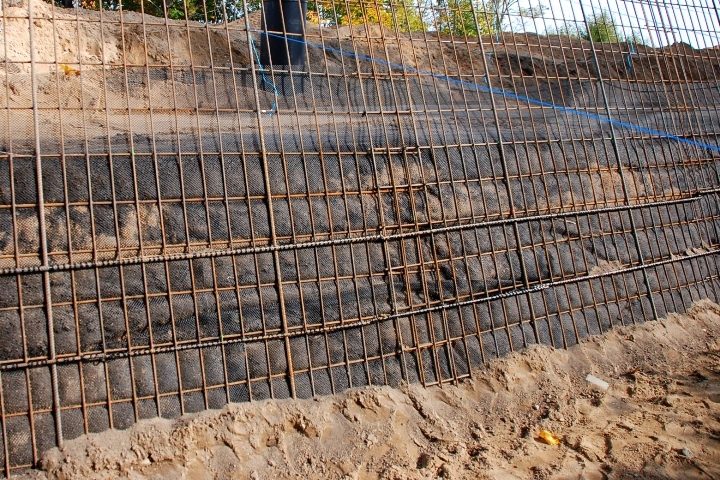 There was a risk that springs remaining under the extension would flood the embankment layers, reducing thus the bearing capacity. 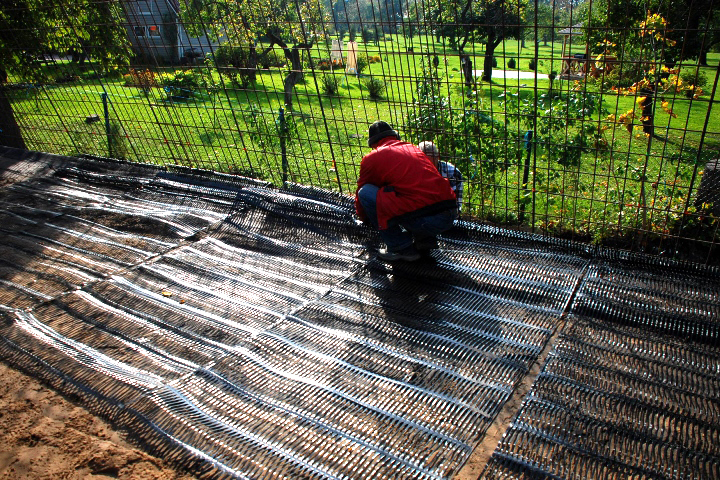 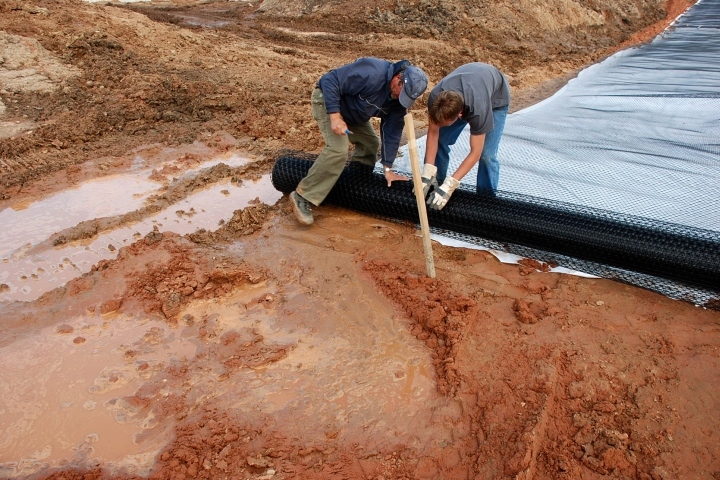 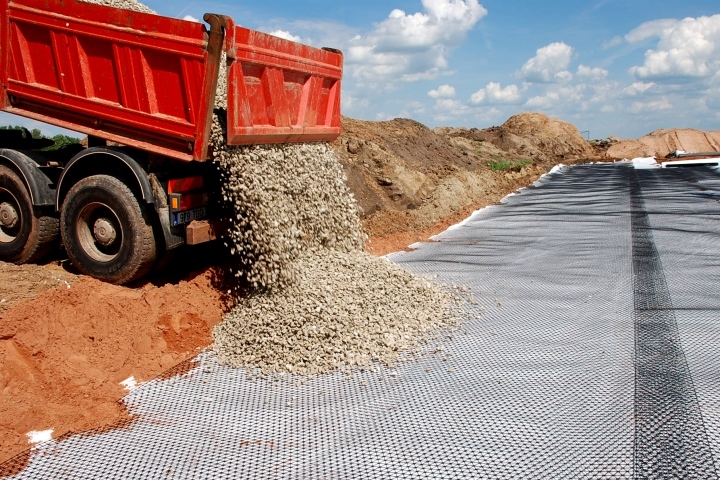 Building a Tensar mattress from granular material reinforced with two layers of TriAx geogrids helped to achieve two goals: a drainage layer was formed which prevented access of water from the upper layers and at the same time a strong stiff platform over variable and soft subbase was established. 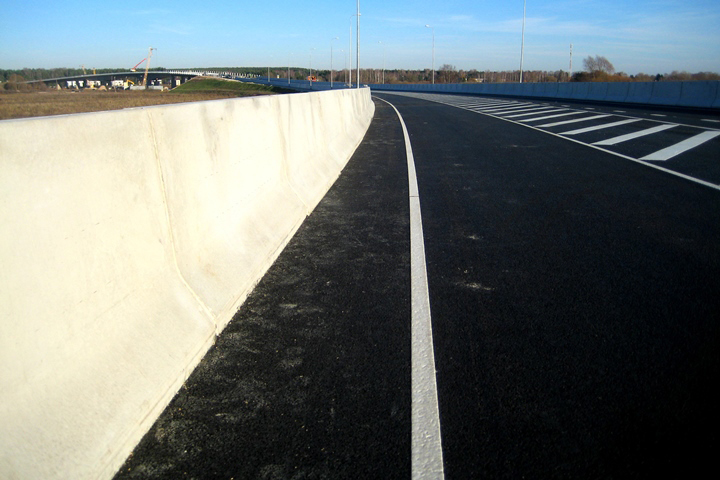 When the base course was ready the bearing capacity of this area was measured and the results met the requirements. 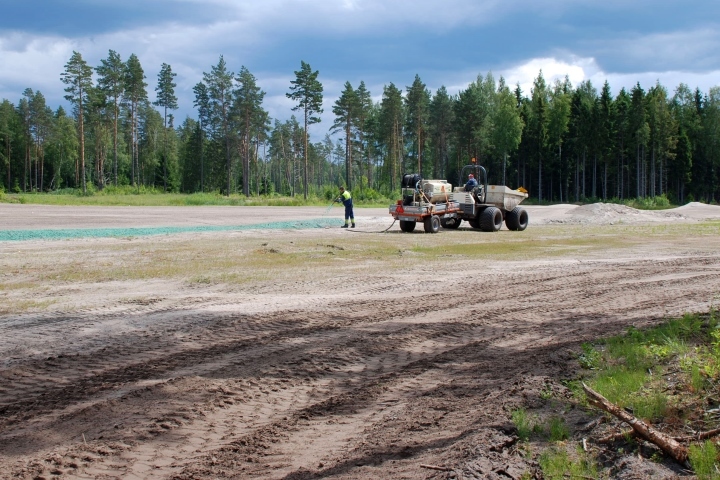 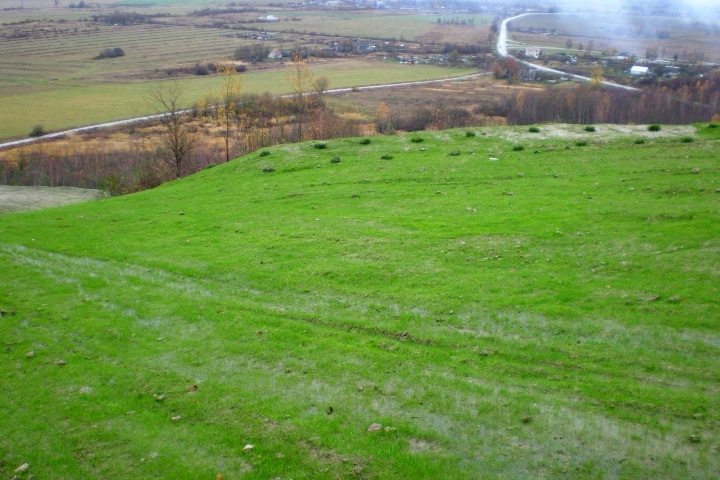 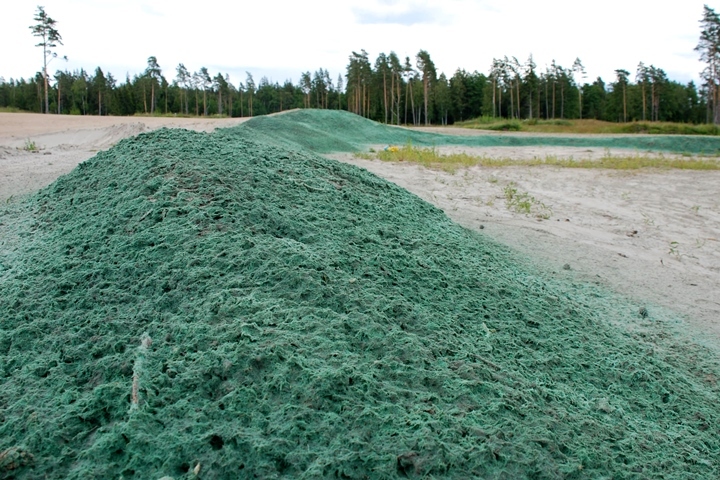 Seeding lawn at Kiviõli ash mountain using a hydroseeding method. 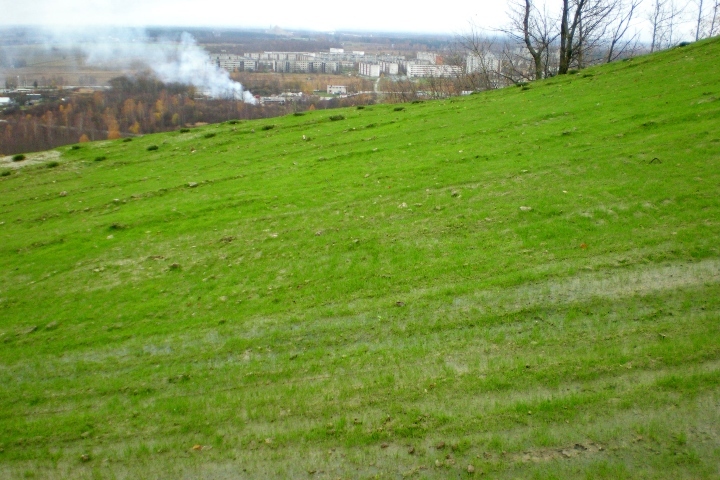 Now the ash mountain is occupied by Kiviõli Adventure Centre.